Opens the shoulders & Aligns the spine. 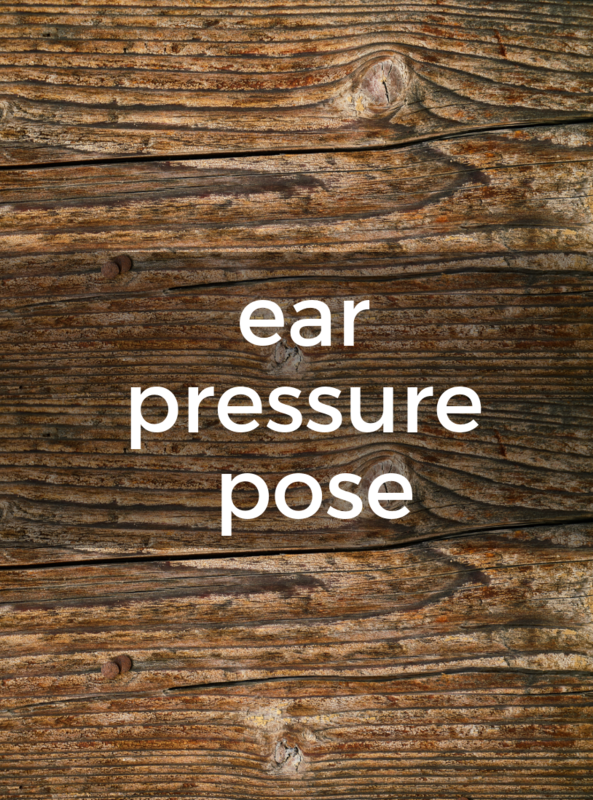 1) From Plow pose, bend your knees and bring them to the floor on either side of your head. 2) Rest the tops of your feet on the floor. 3) Allow the knees to apply light pressure to the ears, momentarily cutting off aural distractions. 4) Take at least five breaths before releasing your arms and slowly rolling out of the pose vertebra by vertebra. Don’t worry if your knees don’t come all the way to the floor. It’s fine to keep the knees up until they come to the floor naturally.